MONTREAL -- A J.D. Power survey says passenger satisfaction with the performance of Canada's two largest airlines has grown in the past year. 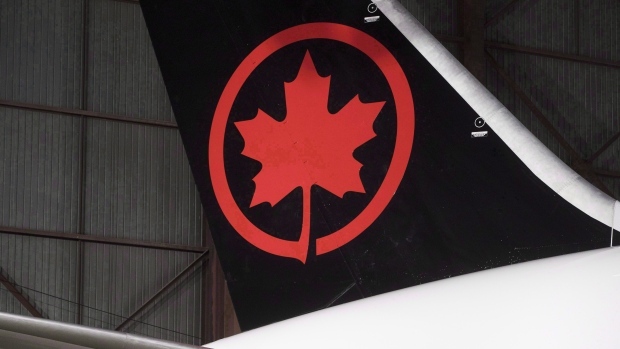 Air Canada enjoyed the largest gain in satisfaction among traditional carriers in North America, rising 25 points to 734 on a 1,000-point scale. WestJet scored 747 in the low-cost carrier segment, up from 736 a year ago. Each Canadian airline ranked third overall in their respective segments. Airline investments in newer planes, handling of luggage and cheaper fares drove a seventh straight year of improved customer satisfaction. Alaska Airlines ranks highest among traditional carriers for the 11th consecutive year, while Southwest Airlines tops the low-cost carrier list for a second straight year. Satisfaction with United Airlines dropped. The U.S. carrier received undesirable global attention after a passenger was dragged off an overbooked flight. The exceptions to improved satisfaction with North American airlines were in the categories of in-flight services, including food, beverage and entertainment systems. The study of business and leisure travellers is based on responses from 11,508 passengers who flew on a major North American airline between March 2017 and March 2018.